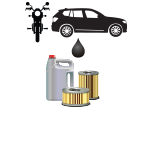 Help us keep household hazardous waste (HHW) from polluting the environment in Marin County. These helpful FAQs cover all the basics and will help you dispose of HHW properly. What materials are classified as hazardous? Hazardous materials are toxic to you and/or the environment. Hazardous materials include asbestos, antifreeze, fluorescent bulbs, gasoline, herbicides, household chemicals, pesticides, paint, solvents and spray cans, to name a few. Where can I dispose of hazardous materials? Marin Household Hazardous Waste Facility 565 Jacoby St. San Rafael, CA 94901 (415) 485-6806 Tues – Sat, 8 a.m. – 3:30 p.m. The Bulb and Battery Take-Back Program is designed to encourage Marin County residents to properly recycle their used household batteries, compact fluorescent lamps, and fluorescent tubes – free of charge – at convenient retail locations. Residents: For waste disposal information and a complete description of what can be brought to the facility, call (415) 485-6806. Residential drop-off is Tuesday – Saturday, 8:00 a.m. – 3:30 p.m. Closed on Sundays and Mondays. *The Novato Household Hazardous Waste Facility accepts drop-offs of household waste between 8:30 a.m.-1:30 p.m.; 1st & 3rd Sundays & Mondays. Zero Waste Marin coordinates with the San Rafael Fire Department on Toxic Away Day events, making it easier for residents of West Marin to dispose of used accumulated toxic materials closer to home. Events typically take place in the spring and the fall. Please check back for event details!